Discussion about Wet Bullet Traps | C. Vargas & Associates, LTD.
An article I wrote about 10 years ago, about the time the NRA and Delaware State Police were having problems at their indoor ranges, was republished in a “Shooting Trade Newsletter” that has created some what of a furor with members in the industry and some one of our clients. As a Professional Engineering leader in the business of shooting range design, we bring to the table our impartial view based on extensive experience of our designs. This is not a task we lead lightly. As professional engineers registered in 19 states, we take the charge of those legislatures to do a design that protects human health and property very seriously. From time to time we write position papers, Papers after presentations at Architect Seminars put on by various manufacturers in the industry and publications of proceedings of talks given at National Range Symposiums organized by the industry. All of these are to document the state of the art and for our peers to review and comment on.  It helps the industry deliver better products which indeed they have as it relates to modern shooting range equipment. One of the issues that still is under debate is the lead issue. One side wants to eliminate the use of lead totally as it pertains to shooting. This will never happen in our life time, or our children life time. The other side holds that lead can be managed, and in fact it has been with respect to newly designed equipment that catches and recycles projectiles and not because of range house keeping. I personally believe that lead can be managed. The one factor that remains to fully manage lead is that the facilities have to be maintained and strict scheduled house keeping has to be performed. Filtering the lead out of the air is now accomplished very well. Capturing the lead in bullet catchers and recycling is now also routinely done. The one part where lead is still to be managed is how to clean periodically the slight residue that falls on floors and sticks to walls so that the residue is not transported out of the range by shooters on their feet and by touch from range surfaces. The answer is clear and has been recommended for over 15 years that we know of. The answer is wet wipe the surfaces and washes the of floors periodically. I’ve been a proponent of washing ranges for over 20 years. The lead concentration numbers are not astronomical. For a range that shoots 1,000,000 rounds a year. About 1.2 pounds are produced from the primer. If 99.99% is removed by the HEPA filters, only about .012 lbs per year remain to be washed off surfaces over a year’s period of time. That concentration washed to the sewer as an industrial connection can certainly be handled by any waste water treatment plant. If a treatment plant is not available wet mop the range and dispose of the water residue after evaporation with the lead projectiles from the trap. The referenced article of 10 years ago addressed the maintenance required for wet bullet traps and has now been used to indicate that we as engineers are critical of the wet trap design, which is not the case. I reply all equipment in shooting ranges has to be maintained. Further comments such as above are based on very early design solution that resulted in every once in a while water/oil mixture sprinkling of the floor. The “wet-to-floor” system where stopped being built by Savage over 12 years ago. Now only the upper half of the ramp, and the deceleration chamber is sprayed. Savage Range Systems (SRS) is the manufacturer of the original Snail Trap, which features circular snails which gently decelerates projectiles with centrifugal and friction forces in round deceleration chamber: The system was invented by Ron Coburn, President of Savage Arms and Savage Range Systems.  The “snail concept” was born out of the necessity to minimize gun manufacturing factory employees’ exposure to airborne lead dust which resulted from testing the firearms produced with large volumes of ammunition at the Savage Arms factory on prior smash plate designs. Mr. Ron Coburn’s use of low angle impact ramps and large circular deceleration chambers revolutionized bullet trap technology. Today you will find Snail Traps in use at virtually every firearms and ammunition manufacturer in the United States, where wet snails are used as well as in military, law enforcement, and commercial shooting ranges throughout the world. The Wet Trap is the safest, cleanest, lowest-maintenance steel bullet trap available. It utilizes clear water combined with a light solution of water soluble oil as a ramp and snail lubricant. This water is spayed uniformly over the bottom ramp where the majority of the bullets are designed intended to strike, and is also sprayed inside the circulation deceleration chamber to lubricate and keep it cool This wet medium serves four purposes: (1) to cool the steel, (2) to cushion the impact, (3) reduce friction forces of the bullets against the steel and (4) to contain lead particles which in dry systems would otherwise become airborne. The result is reduce bullet fragmentation in general and eliminate it for 100 grain and above bullet travels less than 2900 fps, resulting in less airborne lead dust, cleaner air, and less time and cost associated with maintenance and housekeeping in the range. Some dry trap only manufacturers “do not try to understand” or have sought to mislead their clients about the Wet Snail Trap. I would like to take the opportunity of addressing some of the arguments that have been posed. “You can use any type of ammunition on any steel trap.” No manufacturer of any steel bullet trap should ever be so foolish as to make such a claim about any bullet trap. There are many factors which determine the type of ammunition which can be fired into any given bullet trap, including the type and thickness of the steel used, the angle of the ramps, and the diameter of the deceleration chamber. This argument is put forth because wet/dry competitors know that all things being equal, a Wet Snail Trap will last longer and show less wear under heavy use of large caliber firearms than a comparable dry trap. “It captures all bullets whole and eliminates splatter and ricochets.” The fact is that Wet Traps do indeed produce pistol bullets that are less fragmented than any other type steel trap, and the majority of the bullets recovered from wet traps are indeed largely whole. Wet traps protect the shooter from splatter or ricochets, when shooting at point blank range. This issue is raised as an by dry trap only manufacturers which produce more fragmented bullets. The benefit of the Wet Trap is to minimize the fragmentation of the bullets when they strike the lower ramp (which is where the vast majority of bullets are designed to strike), and during deceleration inside the large circular chamber (which is where the majority of the lead dust is created), wet traps minimize that lead particulate created from becoming airborne and necessitating an individual dust collector. “Wet Traps are more environmentally friendly than dry bullet traps.” The lead particulates that is captured in the water settles to the bottom of the recirculation tank in the form of heavy sediment that is safely removed and recycled after evaporation along with the recovered bullets. The water in the wet trap itself is recirculated many times, over. It does evaporate out of the system as clean, pure water vapor and it’s then made up. The water will regularly need to be replenished, but needn’t be replaced or discarded. Lead that is removed by dry dust collection systems must also be disposed of as hazardous material. The difficulty associated with lead disposal spillage from dry traps is far greater than wet sediment. The wet trap manufacturer as far as we know only recommends the Wet Snail Trap for indoor or enclosed applications. The fact is dry taps may be better for outdoor use does not diminish the fact that Wet Traps are the ideal bullet traps for indoor use. nd up with a bullet trap that is much more difficult to service or repair should anything go wrong but it does not.” The observation come from manufacturers of traps which frequently do have things go wrong and require repairs to their traps, up to and including complete removal and replacement. Their ramps feature cover strips to protect the joints of their ramps, which creates an uneven surface that may result in dangerous splatter or ricochet, especially when training at close range. Wet Traps can be serviced with no need to remove the heavy, bulky steel ramps, and require no cover strips which result in splatter or ricochets. Claim and argument that funnel plates mounted at a 15 degree angle function significantly the same as funnel plates mounted at a 12 to 13 degree angle.” The use of steeper ramps does save on the cost of materials and economizes on space, but it can’t be claimed that it doesn’t make any difference in performance. The flatter the better, 12º is optimum. Conversely flatter requires more floor space. The SRS Patented Low Angle Ramps are placed at the optimum proprietary angle, and imitators are forced to excuse their inability to infringe upon the patent by using steeper angles. If the claim is that “the ramp’s steeper angle is irrelevant” are true, why not place them at seventeen or twenty or twenty-five degrees instead of fifteen? Because a lower angle is better, but they cannot infringe upon the SRS Patent. Claim and arguments that “26-inch deceleration chambers are as good as 30-inch.” Using the same logic, if a 26-inch chamber is as good as a 30-inch chamber, why not make the chamber 24 inches, or 20 inches? Because other manufacturers know a larger deceleration chamber is better, but they must justify their smaller product by claiming “space savings”. Some manufacturers also claim to produce circular deceleration but the chambers are actually octagonal chambers or even semi-circular chambers with smash plates hidden inside. These bullet traps are significantly inferior because they create much greater bullet fragmentation and increased lead dust. SRS Traps are large, smooth, 360-degree circular deceleration chambers, resulting in much less bullet fragmentation. The use of smaller deceleration chambers results in increased friction between the bullets and the inside of the deceleration chamber, creating more lead dust. Savage utilize even larger chambers and lower angle ramps, for SRS’s largest traps which are meant to handle a steady diet of .50 caliber ammunition, Savage utilizes deceleration chambers which are a full 48” in diameter, and ramps which are set at 7 degree angles. The SRS trap does results in a larger foot print because SRS insist in delivering the right bullet trap for the customer’s needs, not a trap that is expedient and economical from the trap manufacturing process. SRS claims that Wet Steel Traps don’t require much maintenance. This is indeed true. Safety, cleanliness, and low maintenance are among the greatest benefits of the Wet Snail Trap. Of course routine maintenance should be expected with any bullet trap whether it is a wet or dry trap, and it may be considered deceptive for one to show pictures of poorly maintained shooting ranges and present them as though they are representative of the quality of the wet bullet trap. The components of the Savage Wet Snail Trap are simpler, more reliable, and require less electrical energy and maintenance that those of a dry trap. In addition, routine maintenance on a Wet Trap can be performed with no need to wear specialized protective gear. However, the U.S. Department of Labor requires personnel to wear Respirators and special Hazardous Material Protective Suits to perform routine maintenance on dry traps. The Savage Wet Snail Trap is indeed cleaner and lower maintenance than any dry bullet trap available. The SRS WET “Snail Trap” is safe, clean, low-maintenance indoor steel bullet trap. The SRS DRY Snail Trap, which utilizes the same large, smooth deceleration chambers and low angle ramps is the safest, cleanest, lowest-maintenance dry bullet trap on the market. Others may manufacture bullet traps which are smaller and less expensive than SRS, and they enjoy that less foot print economic distinction, SRS continues to manufacture a superior product for discriminating customers who are not swayed by the excuses and claims of imitators. The Snail Traps produced by SRS are quite simply the finest bullet steel trap I know of available today. I have supported the use of wet snail traps in my designs because I believe that the only real way to maintain the ranges are to periodically wash them down or to wet mop often. We can better handle wet lead residues if we don’t track them elsewhere. I know this is an old article, but I wonder what kind of capital investment would be required to set up a commercial range that would be capable of handling large calibre centre-fire rifles and pistols. Would there be a ‘sweet spot’ in the number of lanes, based on equipment like the SRS snail traps? Or is it just more about how many lanes you can keep active as a business? other than Savage Range Systems where could I buy a wet 47 x 18 x 54 bullet trap?